All gyms and head instructors have been certified through the International Martial Arts Association under Grand Master Ki Yun Yi and the Association's testing board. this keeps the instruction at a high level, which in turn greatly benefits the level of instruction received by students at all I.M.A. gyms. 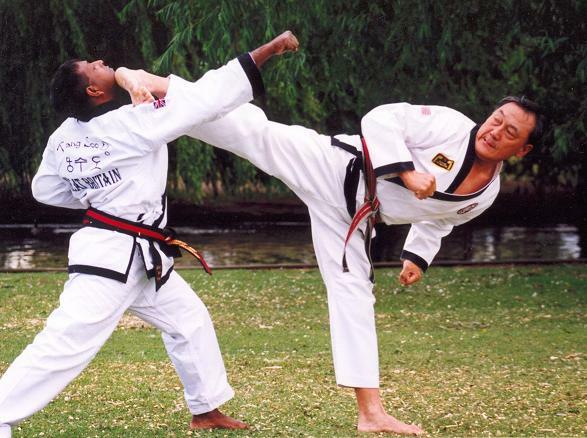 Grand Master Ki Yun Yi kicking a man very hard in the chin.